Two thousand years ago, at the dawn of the First Century, the world was ruled by Rome. 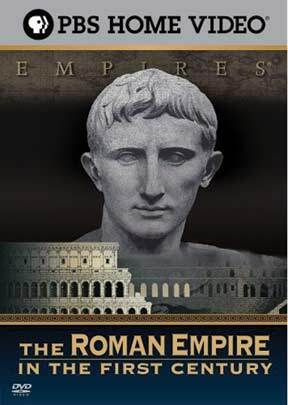 the Roman Empire struggled with problems which are surprisingly familiar: violent coups, assassination, overarching ambition, civil war, clashes between the classes as well as the sexes, and questions of personal freedom versus government control. But from the chaos, the Roman Empire would emerge stronger and more dazzling than ever. Embracing hundreds of languages and religions, it would stretch from Britain across Europe to North Africa, the Middle East, and the borders of Asia, becoming the world's first and most enduring super power. Through the experiences, memories and writings of the people who lived it, this series tells the story of that time of the emperors, slaves, poets and peasants who wrested order from chaos, built the most cosmopolitan society the world had ever seen, and shaped the Roman Empire in the First Century.